Together with the heart, blood vessels represent the main component of the circulatory system, which consists of an elaborate network of tubes throughout the body. The circulatory system involves the combined functioning of the heart, blood and blood vessels to deliver oxygen and nutrients to organ systems and tissues and to remove waste products resulting from metabolism. The lymphatic system is composed of an intricate system of lymphatic vessels and lymphatic tissues, including lymph nodes, the spleen and thymus. The main purpose of lymphatic vessels is to absorb and return lymph fluid from the body back to the blood, and to assist in the body’s immune function. Three types of blood vessels can be differentiated. Arteries carry blood away from the heart, and veins carry blood toward the heart. 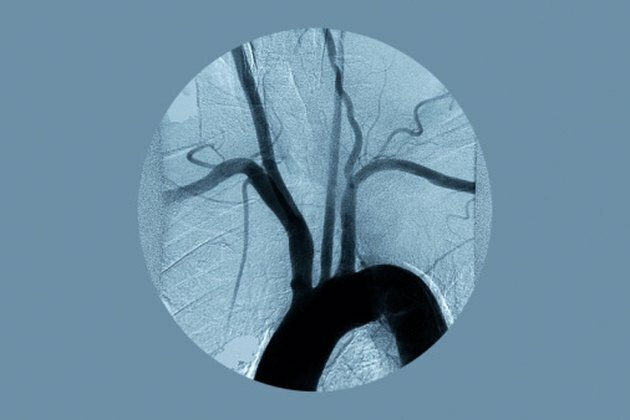 Capillaries are the smallest links between arteries and veins and are formed by small arteries, called arterioles, branching out to become progressively smaller in diameter. The thin wall of the capillaries enables an exchange of oxygen and nutrients into the body tissues and absorption of carbon dioxide and waste products back into the blood circulatory system. In order to withstand the high pressure of blood pumped from the heart, arteries have a thicker wall and a better developed system of smooth muscles in their walls than veins. The blood pressure in the veins is much lower, and the smooth musculature in their walls is not as well developed as it is in arteries. Due to the low pressure, there is a chance of pooling of blood in the venous system, which is prevented by functioning one-way valves inside the veins to support blood flow against gravity toward the heart. The lymphatic system is closely associated with the blood system and represents an accessory route by which lymph fluid can flow from the body’s tissues back into the blood stream. Lymph vessels can be categorized into lymph capillaries, pre-collectors, lymph collectors and lymphatic trunks. Lymph capillaries represent the beginning of the lymphatic drainage system and originate in close proximity to blood capillaries. Lymph capillaries resemble blood capillaries but have a more irregular cell structure and are more permeable than blood capillaries. Because of their structure, lymph capillaries are able to absorb larger particles from the tissues, such as proteins, cells, bacteria and other large substances, which cannot be absorbed by blood capillaries. These particles, together with water, then travel through an intricate network of pre-collectors and larger lymph collectors and trunks back into the blood circulation via the venous angles. On its way back to the blood, lymphatic fluid travels through a successive number of lymph nodes, which filter out impurities from the lymph. The circulatory system represents a closed system, with the heart as its central motor, and blood and blood vessels as the other structural elements. The main purpose of the blood vessels is the uninterrupted supply of all body tissues with nutrients and oxygenated blood, and the removal of metabolic waste and carbon dioxide from the tissue cells. The part of the circulatory system that delivers blood to and from the lungs is known as the pulmonary circulation, and the flow of blood throughout the rest of the body is administered by the systemic circulation. The lymphatic system and its vessels do not form a closed circulatory system. It begins with small lymphatic vessels, or lymph capillaries, in the body tissues, and continues with successively larger lymphatic vessels, or collectors and trunks, which ultimately connect to the venous part of the blood circulatory system. There is no central pump associated with the lymphatic system; lymph vessels produce their own propulsion system with a network of smooth musculature located in the walls of lymph collectors and trunks. Since the lymph vessels work according to the one-way principle and not as a closed circulatory system like the blood, it is more appropriate to speak of lymph transport rather than lymph circulation. While the flow of blood through the blood vessels is uninterrupted, the transport of lymph fluid through the lymph vessel system is interrupted by lymph nodes. 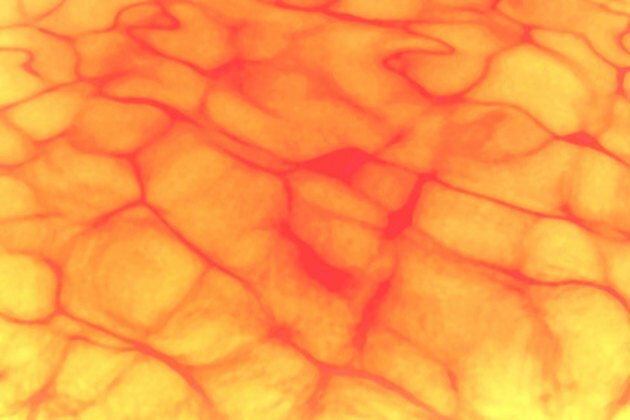 What Are the Three Types of Blood Vessels in Our Bodies? What Human Body Systems Work With the Immune System? What Are the Three Major Parts of the Cardiovascular System?